Akira Jacket is the inspiration of Japanese action thrilling film as “Shotaro Kaneda” who played the role of carefree gang leader in the movie titled “Akira”. This kind of leather jacket is mostly wear for men in winter, springs and snowy seasons. This jacket is now available in our online store with different sizes in various quantities. 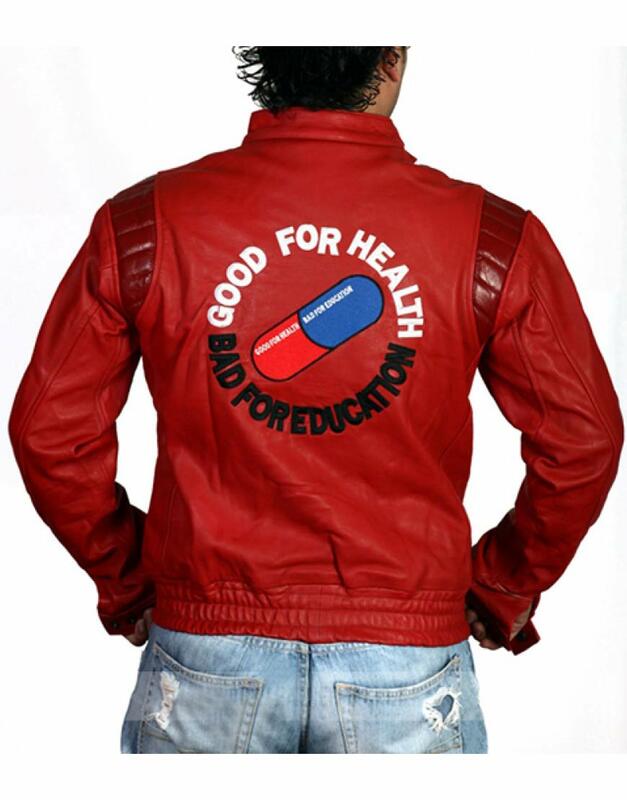 Good for health bad for education jacket is the material of genuine / faux leather with inner viscose lining and on backward as printed “CAPSULE”. 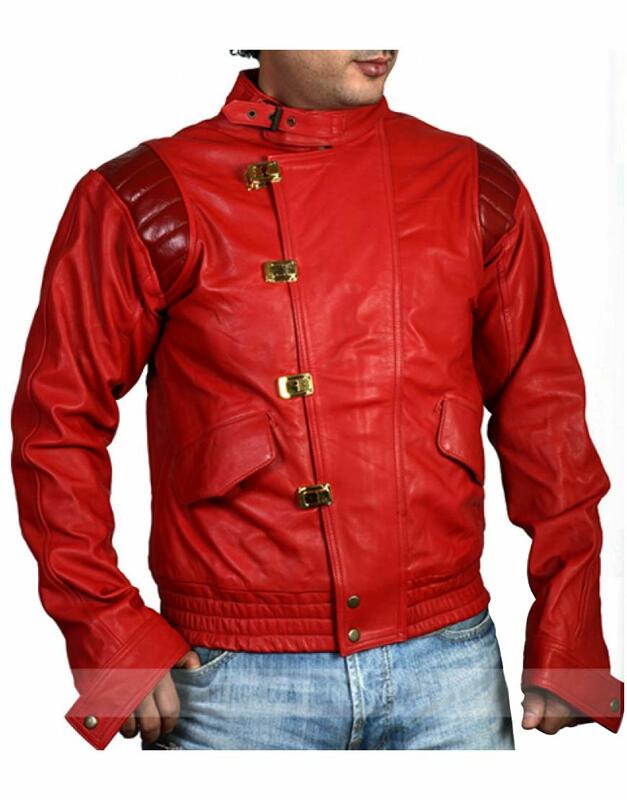 Akira Kaneda jacket has front belted collar with golden buttoned closure. Akira Pill jacket has long sleeves with snap tab at cuffs and above the long sleeves on shoulder portion looking like leather design element style. Akira jacket has two flap pockets on waist with snap tab on hemline for full closing style. And also showing the stitches with fine and reliable.